Tree Roots Culture, Consulting & Camps LLC is a service dedicated to enhancing the lives of … Read More... about Inspire. It may seem harder to get your students or athletes to perform consistently at a high level, in … Read More... about Perform. Tree has experienced the changes in this generation of parents and their children and has … Read More... about Empower. Cultivating functional teams is essential before learning can happen. "They're not asking us to push them less, they're asking us to earn the right to push them … Read More... about Camps. Growing Leaders Inc. is a nonprofit organization of which Tree (pictured left with Dr. Tim Elmore, … Read More... about Consultant. Known as a high energy and inspiring national speaker for athletic, business and student audiences, … Read More... about Speaker. A highly-respected coach and educator, Theresa Beeckman is the president and founder of Tree Roots Culture Consulting and Camps LCC. 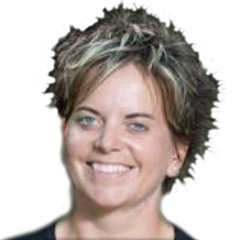 She possesses more than two decades of coaching experience at a variety of levels and has built a championship pedigree with success at numerous stops.